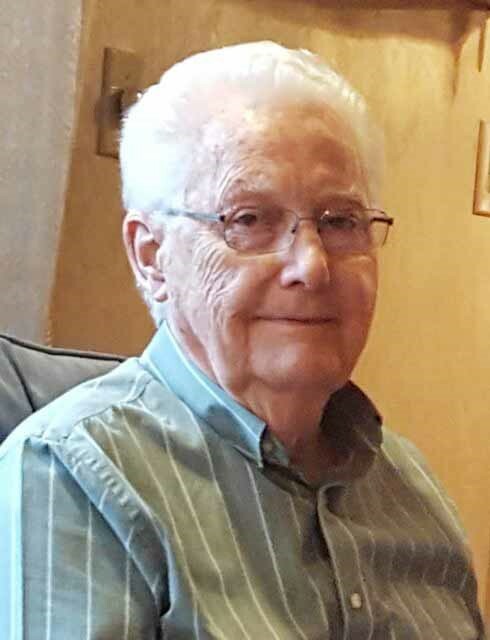 Walter Wilks passed away at home on Tuesday evening, Dec. 27, 2016 after being in ill health for a short time. He is survived by his beloved wife of 18 years Shirley (nee Summers). Loving father to Walter E. (Rosalie), Thomas V. (Analyn), Paul G. (Madlyn), and Susan M. Wilks. He is also survived by Shirley’s children Joseph A. Cost, Jr. (Carole), Cynthia Rae Lynd (Tom), Sharon Lea Martin (John), and 15 grandchildren. He was preceded in death by his wife of 42 years Hannah (nee Frizell), and his brother Louis S. Wilk (Patricia Burns). Walter grew up in the Nicetown section of Philadelphia and attended North Catholic High School. He later attended Temple University and earned an Associates Degree in Metallurgy. He apprenticed at The Budd Company as a tool and die maker, retiring in 1989 after 40 years. He served as a Private First Class in the US Army at Fort Knox, KY. He first lived with his young family in the Mayfair section of Philadelphia before settling in Oreland, PA. He was an active member of Holy Martyrs parish there for over 50 years. Walter also attended and was active at Christ Lutheran Church in Oreland. Walter had a great sense of humor, enjoying bad puns, “Dad” jokes, pranks, and practical jokes – he loved making people laugh. He was a keen pinochle player for all of his life, instilling the love of the game in his children and grandchildren. He loved planning and taking long car trips (long before the convenience of the Web), and either drove to or through all 50 states. Later, he enjoyed bus tours of Europe. He loved visiting the beach, and spent many vacations with his family at Ocean City, NJ. Walter was a DIYer before the term was coined. An avid tinkerer, he loved the challenge of repairing, restoring, or improving anything around the house, and advising his children on the same. He pretended not to love pets, but gave in when a kitten showed up on his doorstep and stole his heart. He also kept a supply of bird seed on hand to feed the large variety of back yard birds. Many thanks to the compassionate staff and volunteers of Abington Hospice as well as the kind and skilled aides of Bayada Home Health Care. Relatives and friends are invited to his Visitation on Saturday, Jan. 14th, 2017 at 9:30 am followed by a Mass of Christian Burial at 10:30 am, Holy Martyrs RC Church, Oreland, PA. Interment private. In lieu of flowers, contributions in Walter’s name may be made to the Holy Martyrs Church building fund, 120 Allison Rd., Oreland, PA, 19075.